I had an exciting day with nine Coastal Quilters today at Plimmerton School teaching my spinning stripes class. The photos display their original fabric followed by block placement. These blocks may not appear in their final placement, however this gives you an idea of the fun to be had with this technique. When you start - you have no idea how your quilt will finish - bit like a jigsaw puzzle. 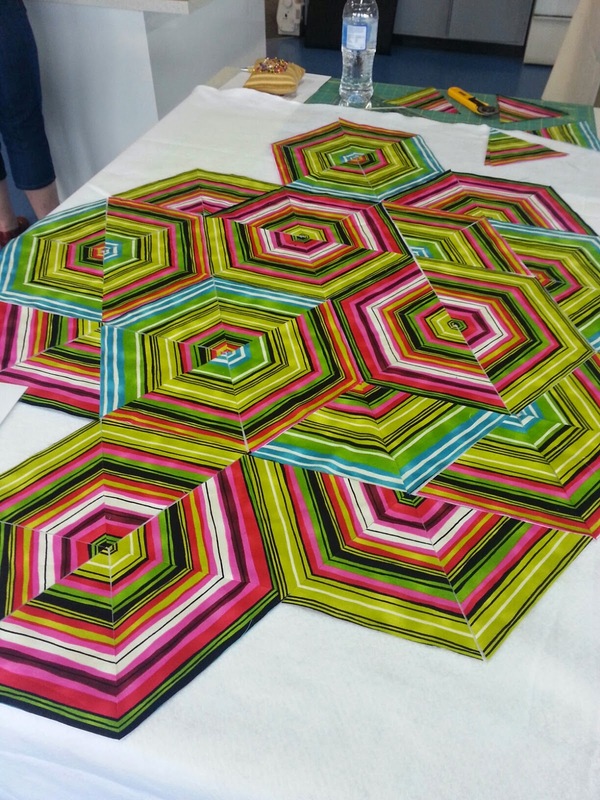 Can't wait to see these quilts completed. Millefiori Quilts - English Paper Piecing.